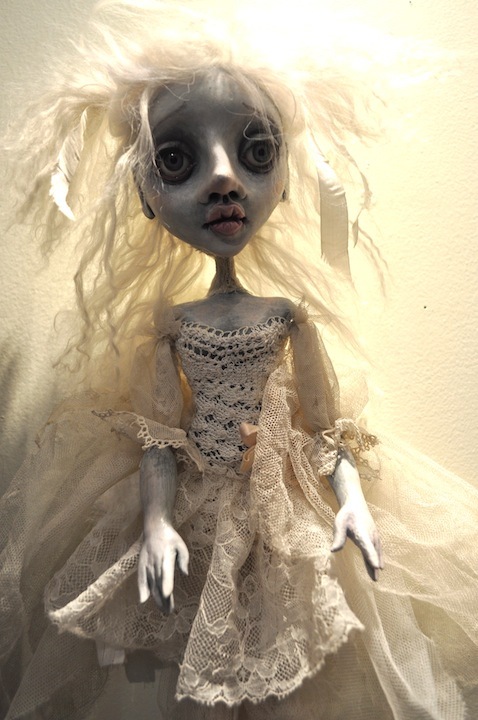 As an early entry in the Visions of Sugarplums but Darker category, the Eerie Dolls of Golgothia show debuts tonight at Green Eyed Gator Gallery in New Orleans' French Quarter. 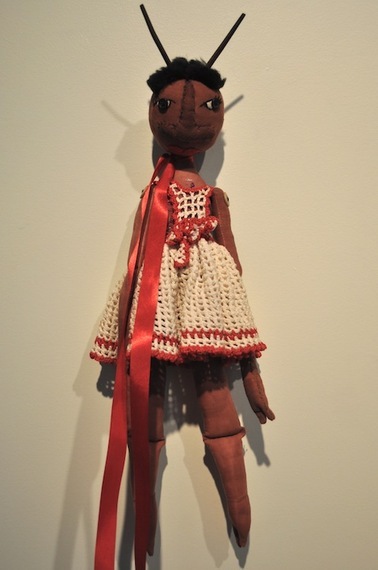 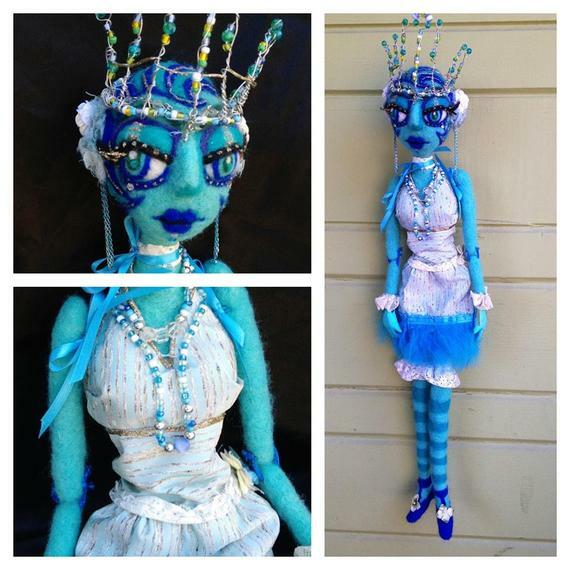 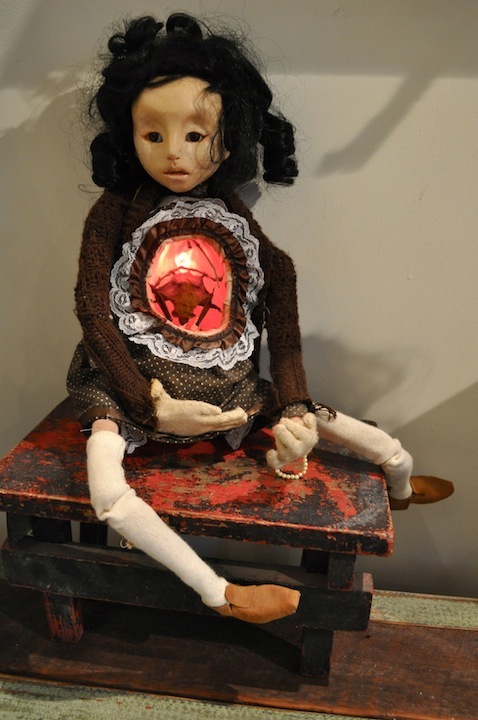 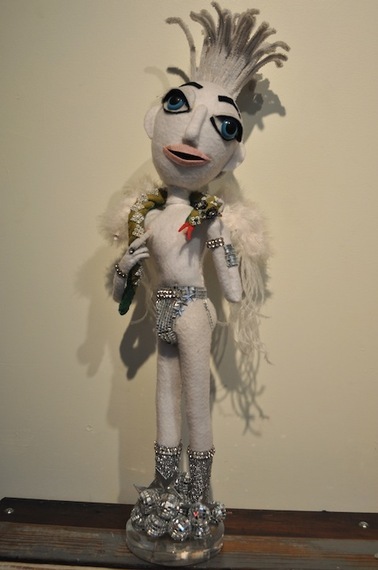 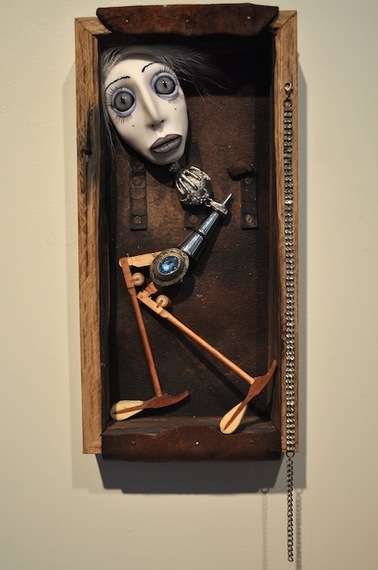 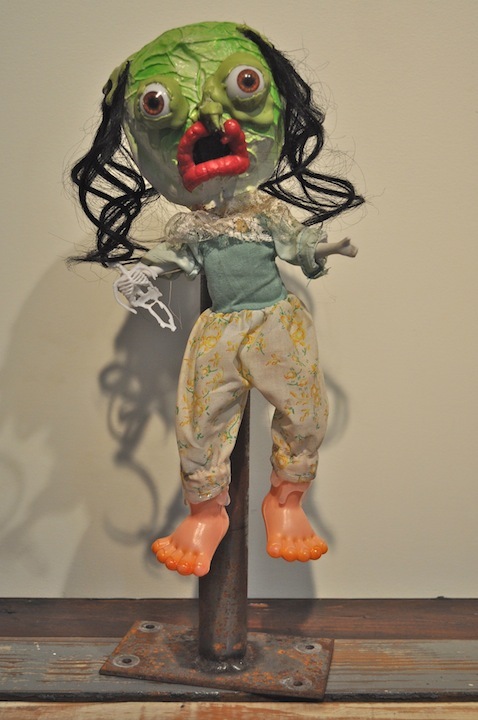 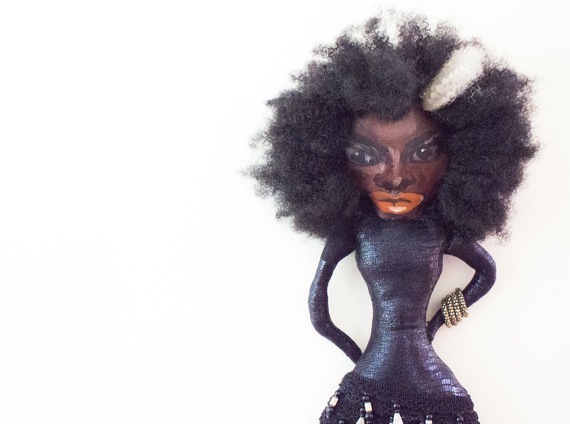 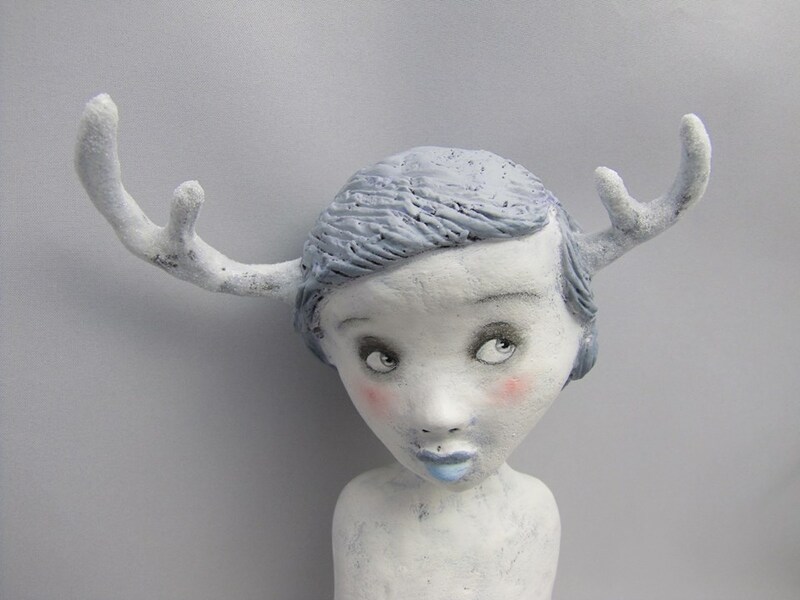 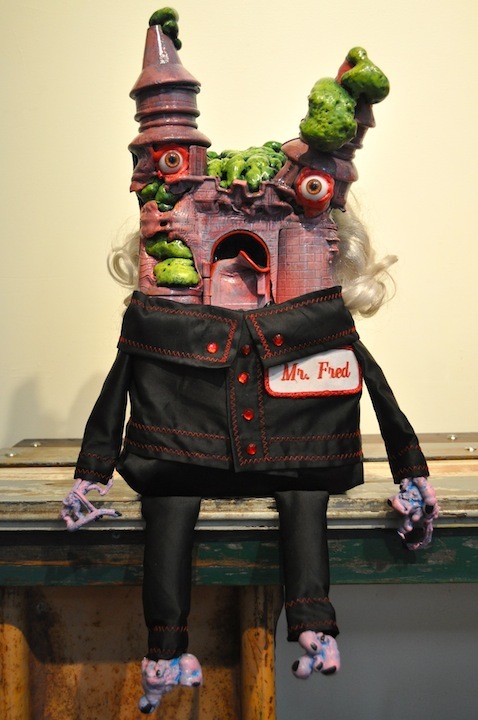 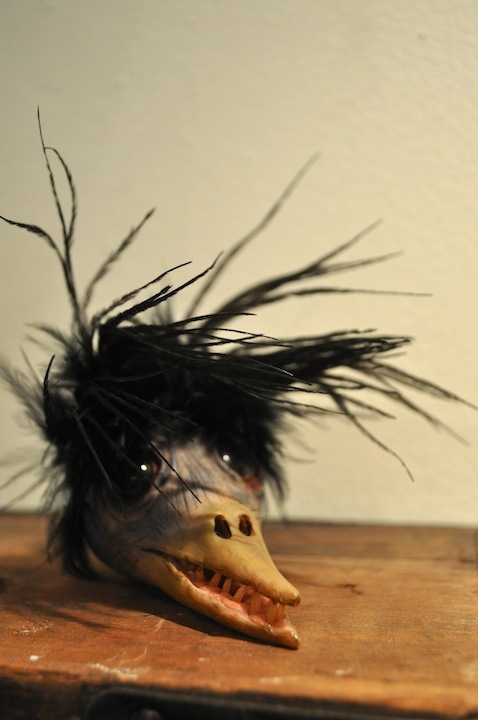 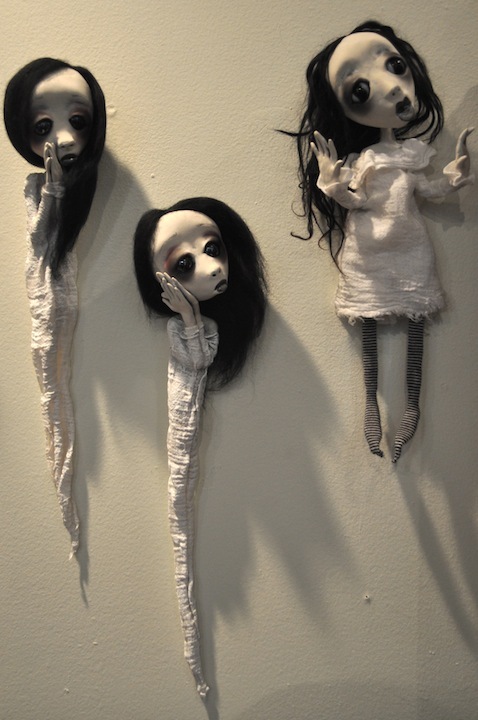 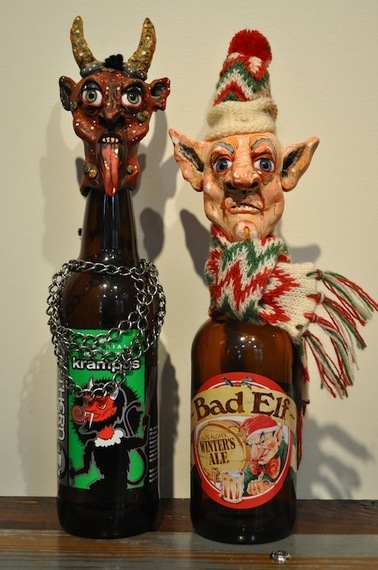 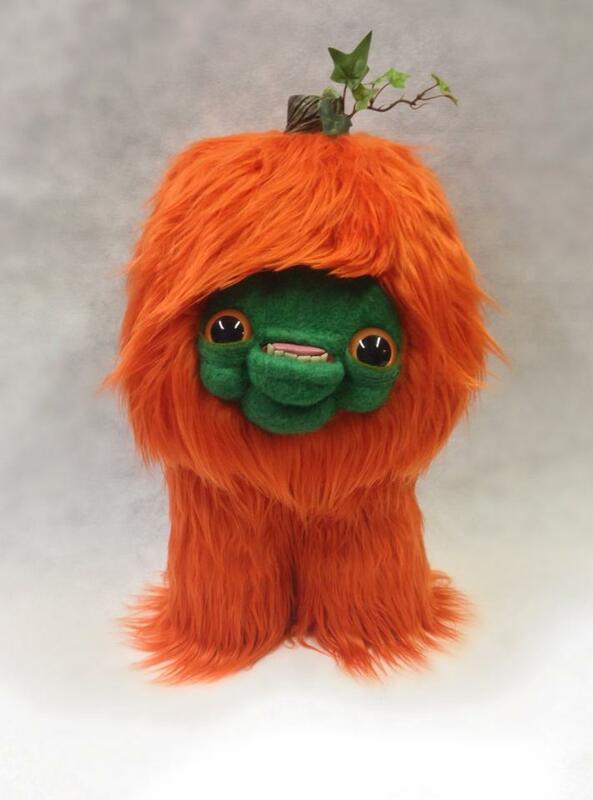 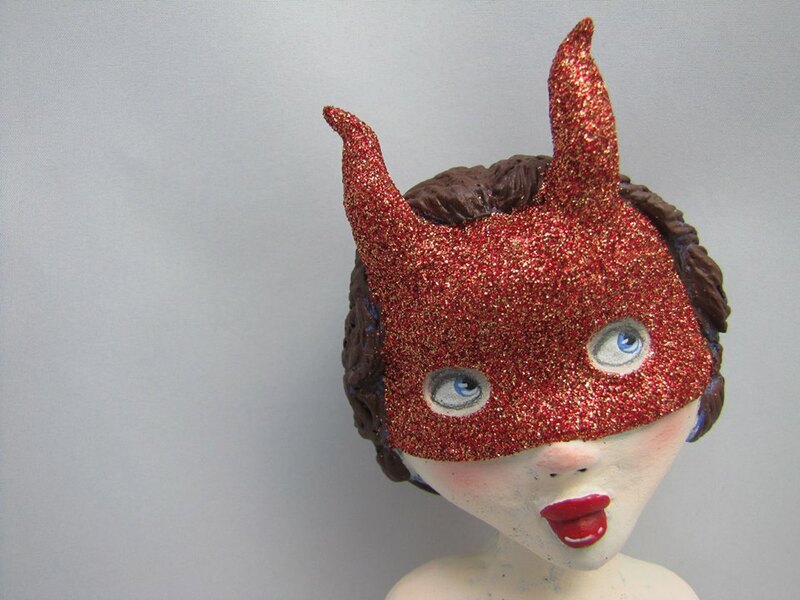 The show is curated by gallery owner and artist Shannon Kelley and artist Kook Teflon, and the dolls were created by artists across the United States and one in Canada. 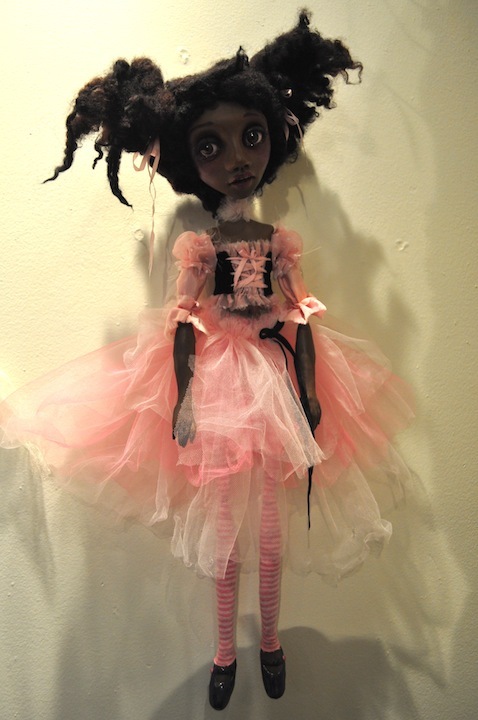 The dolls will remain on display throughout the holiday season. Below is a sampling of the Golgothia show; call the gallery if any of them burrow into your dreams with their little doll eyes.